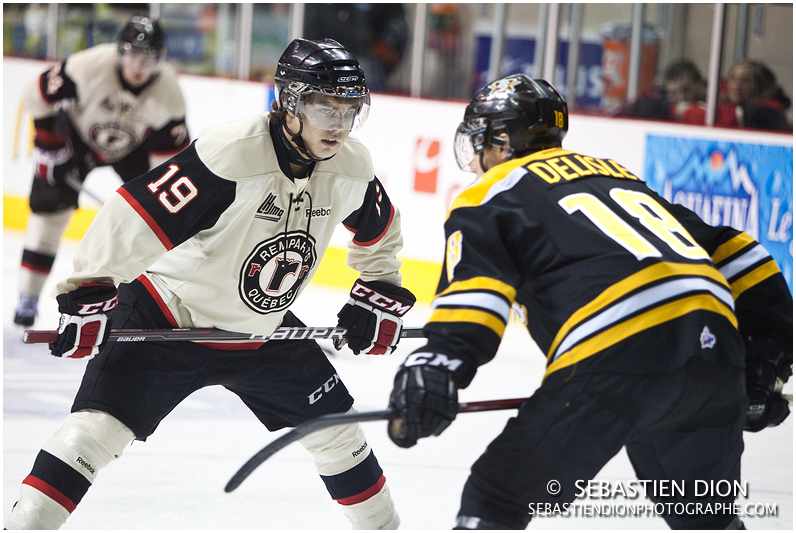 Kurt Etchegary is a fiesty centre from St. John’s, Newfoundland who is currently in his third Quebec Major Junior Hockey League season with the Quebec Remparts. His 25 points in 31 games of last year’s campaign earned him the Assistant Captaincy. We chatted about coming off an injury laden season, playing under the greatness of Patrick Roy and attending an NHL training camp. March Hockey: How was it to come back on the ice after undergoing surgery on your hip joints? Kurt Etchegary: After my hip surgeries, I felt like a new man! I had my problems fixed and I was had more energy on the ice and in the gym. It allowed me to last longer in games and contribute more without feeling any pain. The surgery was to make the capsules in both the left and right hip circular, instead of a previously oval-like shape. This stopped rubbing of joints and made it easier for me to be more flexible. 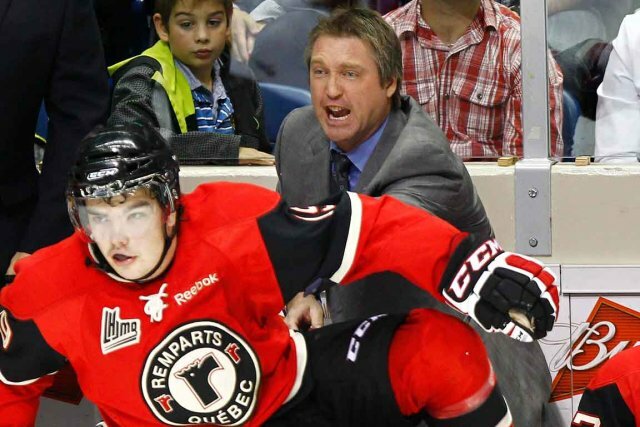 MH: What was it like to play under a hockey icon as big as Patrick Roy? KE: Playing for Patrick was such an honor. He is a legend in every aspect, both on and off the ice. The feeling that you have around him whether its when you first meet him or after knowing him for two years… it never changes. He is respected by everyone that he meets and you can see the passion in him just by talking to him. He is a winner and hates to lose and really helped me develop my game and bring it to the next level. MH: Although you went undrafted this year, what was your experience like in attending the Detroit Red Wings training camp? KE: It was an unbelievable experience in Detroit, I met amazing people like Ken Holland, Mike Babcock, Chris Chelios and the list goes on… it was great to see how professional the organization was and to get a bit of an idea on what it takes to make it to that level. It is something I will never forget and I really hope to return for another camp next year. MH: Growing up, what player did you look up to the most to help your style of play? KE: My favourite player is Mike Richards because of his grit, determination and leadership. He inspires me when I watch him and I try to play like him. I love his play; he finishes his hits, isn’t afraid of anyone and always battles 60 minutes. He is a true captain and a real role model for a player with my style. 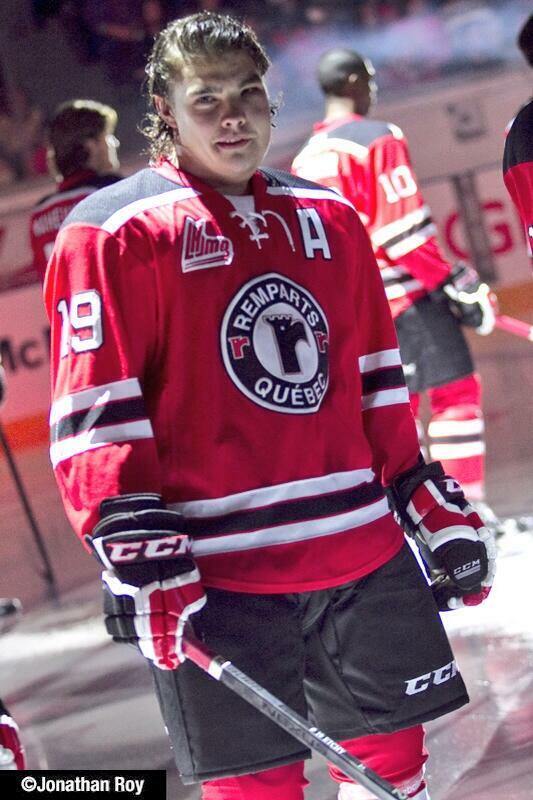 MH: What are you expectations with yourself and the Quebec Remparts in general coming into this season? KE: Our team this year is VERY VERY good. One of the best teams on paper, however we have had a horrible start so far. Once we start to click, our skill and work ethic will carry us a long way and hopefully to the Memorial Cup. We have some of the best skill in the CHL along with the London Knights and Blainville-Boisbriand Armada and I think it can be anyones championship depending on who will work the most.